Who says that your boudoir dress have to be dull, modest, long and floaty with loads of fabric, lace and ruffles? Timeless elegance is one thing, but turning up in the bed wearing fleece pajamas or stiff corsets with scratchy laces would only leave you with sleepless and disquieting nights. Thus, when you buy nightgowns it is extremely crucial that you heed certain factors. These considerations will ensure that you pick the most suitable nightgown for yourself and enjoy an unperturbed night’s sleep. When purchasing nightgowns, it is never advisable to dash right in to the department store or shopping mall and buy the first thing that catches your fancy. Certain considerations must be made regarding fabric, color, and designs. There are ample of options available but remember not all are meant for you. A relaxing and comfy nightgown encourages a fine night’s sleep, making you feel invigorated and thrilled when you wake up the next morning. Read the article below as it suggests all the important factors, which you must bear in your mind before buying a nightgown. The first priority in choosing a sleepwear should be comfort. Straps, which are attached to nightgowns at times, can be extremely annoying and can sabotage all the comfort. Overly long straps, straps that dig or fall down, or worse still, the straps that fall off can be quite disquieting. Therefore, it is essential to examine the quality of the straps carefully before buying. Make sure the straps are properly attached. A wide range of diverse materials is used for making nightgowns and you must choose out of your own volition considering your comfort. However, the most commonly used materials for making nightgowns are cotton, satin, silk, chiffon and flannel. Satin feels wonderful against the skin whereas silk looks more glamorous and is extremely comfortable to wear as well. Chiffon is also a popular choice and comes in different colors. However, most important thing is that whatever material you choose, it must be soft and gentle on your skin so that you can enjoy an unruffled night’s sleep. Climate is one more important thing, which you must keep in mind before buying a nightgown. For areas with cold climatic conditions, the nightgowns, which cover the entire body, are the best suited ones. Though the cottons are the most comfortable and can be worn throughout the year, yet for winters, flannels, wool or synthetic are more preferable as they provide warmth. On the other hand, if the climatic conditions are hot, then you have the liberty of buying short nightgowns in lighter fabrics. An important element that might boost your appearance in a nightgown is the color. In fact, most of the designer and manufacturers offer a very limited option in terms of color. It is not that black and white suit everybody. In fact, softer colors such as peach and grey suit older and more sophisticated women better. Blue, which perhaps is one of the most exquisite colors, looks good on almost anybody especially those with blue eyes. For the carrot tops who want to accentuate their coloring, soft greens and taupe are best suited. However, unfortunately the most common and widely available colors are often black and white, where the details of the garment generally are eclipsed. Therefore, in order to optimize your visual aspect, you must be willing to spend some time fetching the right color for yourself. It is always advisable to buy nightgowns from apparel department or lingerie stores as they offer wide ranges of variety and quality. Make a wise choice regarding color and also decide whether those with cartoon theme or with floral mélange will suit you or not. While buying maxis, don’t pick over-sized ones as they are already loose. They are available in all sizes, from little girls to adults. 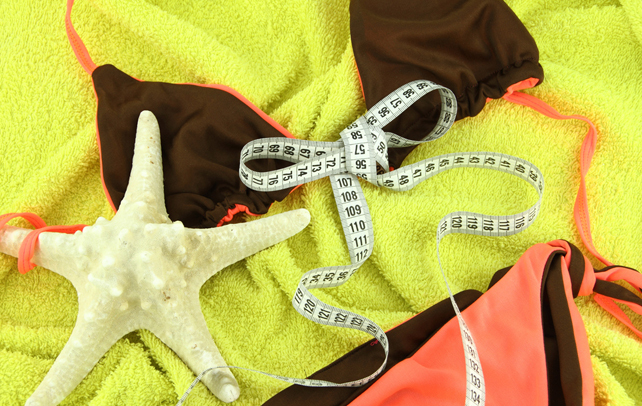 Choose the right size for yourself, as there are chances your maxi might shrink after washing. For wearing during the day or on a pajama day, you may opt for a maxi, which ends between the ankles and knees, as they will not hinder your movements. On the other hand, if you are looking for a dress for the night, which is colder as compared to days, buy an ankle length gown. Buying a proper nightgown may be tricky and there is every possibility that you might pick the wrong one if you are not aware about it. You can’t go for a trial and error and fritter away your money. So pay heed to the above tips and make a wise choice.